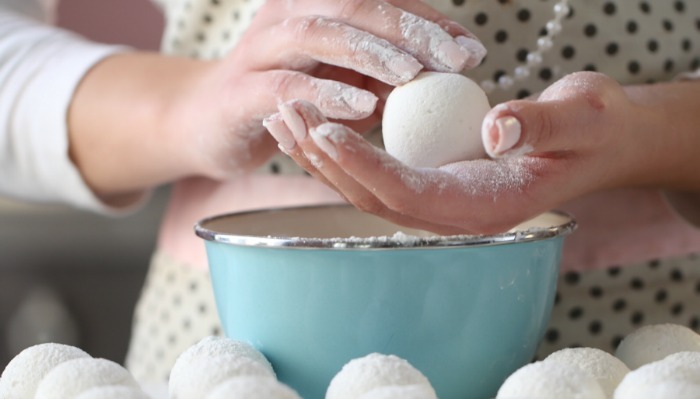 These cute and fluffy marshmallows are perfect for the holidays. 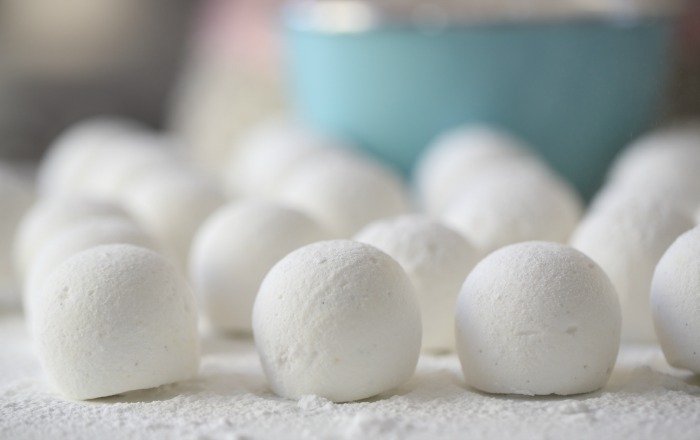 Vanilla marshmallows have been a favorite of mine since childhood. Spray the cavities of a silicone mold with non-stick baking spray and set aside. In a medium bowl whisk the gelatin powder and ¾ cup cold water in a small bowl; let sit for 5 minutes to dissolve. In a medium saucepan, combine the sugar, ⅓ cup water, and half the corn syrup. Clip a candy thermometer to saucepan and bring to a boil over high heat. Stir constantly until sugar is dissolved. The syrup needs to reach 240°F (120°C). Microwave gelatin mixture on high until completely melted, about 40 seconds. Start the mixer on low speed and gradually pour into the mixer bowl and leave mixer running on low speed. Once the syrup reaches 240°F (120°C), gradually add the syrup to the mixer bowl and beat for one minute on low speed. increase speed to medium-high and beat for about 5 minutes.Add the vanilla bean paste and beat for 1 minute more. The marshmallow mixture should have tripled in volume. Let it to set for one hour or overnight. 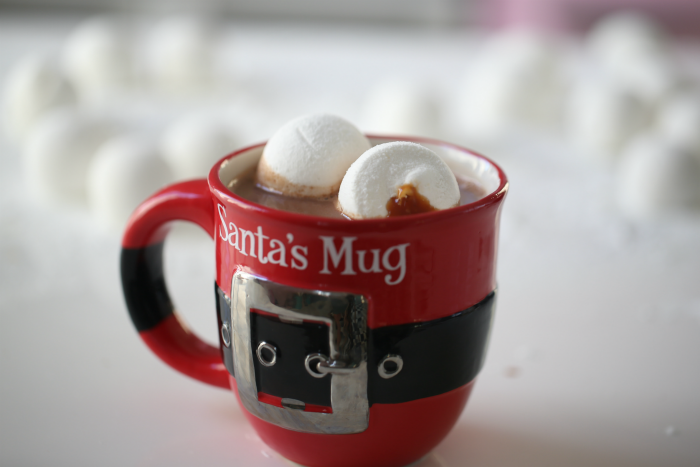 9 When ready, pop out the marshmallows from the silicone mold and roll in into the coating. Let dry for a few hours. Make the salted caramel, the recipe you can find here, and the video you can find here. 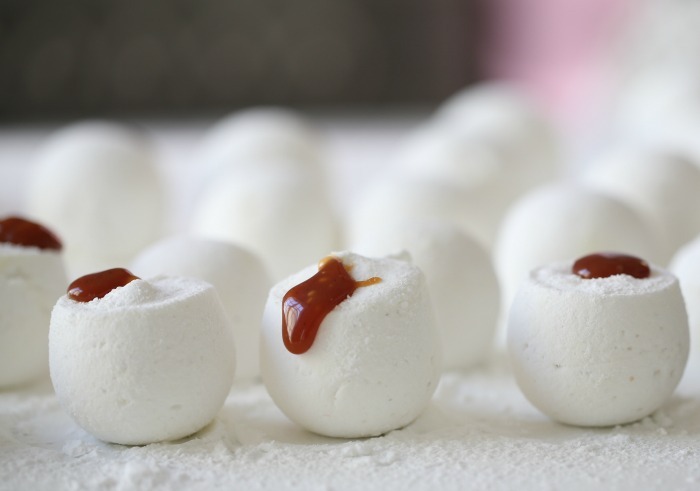 Pour the cooled salted caramel into a pastry bag and pipe into your marshmallows. 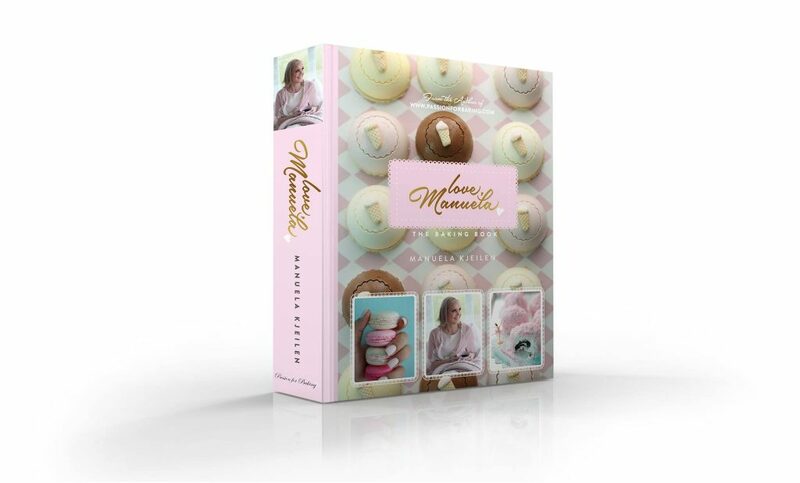 My English book ” LOVE MANUELA, THE BAKING BOOK “ is finally here! Get your SIGNED COPY by clicking here. Hei Manuela. Hvor får man tak i den formen du bruker her? Hi Manela! I love all of your bakes. Do you by chance know where to find that silicone mold, or even the brand name? I am trying to find something similar in the states, but am struggling to find that exact one. I love the size you have created with that purple mold. Thanks!